The 17th Annual Club National Golf Tourney was held on June 30 at Souhegan Woods in Amherst. 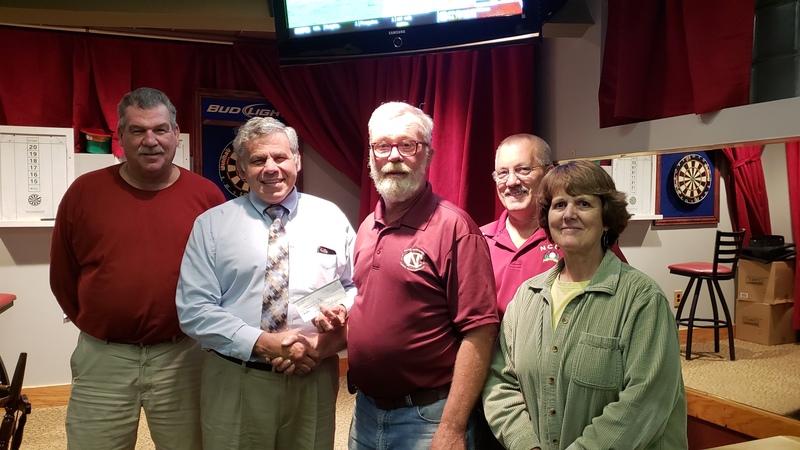 The Tourney, benefiting the Transitional Living Program of Nashua Children’s Home, raised $20,000, the largest yield yet for this signature event. The Pine Street Club, a long-time benefactor of Nashua Children’s Home, has now raised $265,000 through this annual event that supports the operation of a program that provides housing as well as ongoing staff support and guidance for young people who have exited the State’s child-protective or juvenile justice system and enter adulthood as 18-year-olds absent any financial support from their families of origin. 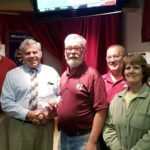 The check was presented on August 11 at Club National on Pine Street. Having raised over $200,000 for the Independent &Transitional Living Programs of Nashua Children’s Home since its inception in 2000, largely due to the initiative of the late Hector Boissonneault, the 15th Annual Club National Golf Tournament will be held on Thursday, June 26th at Souhegan Woods in Amherst. 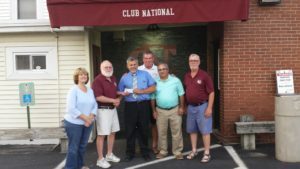 The 2013 Club National Sponsorship Applications are now available for this years event, which is to be held on June 27 at Souhegan Woods Golf Club. Please click the link below for a copy of the application. The 12th Annual Club National Golf Tourney was held on Thursday, June 30th at Souhegan Woods in Amherst. Golfers once again enjoyed 18 holes, hot dogs for breakfast, and a steak barbecue lunch. Sunny skies prevailed for the twelfth consecutive year as well. The Pine Street club has generated $180,000 in charitable contributions for the Independent & Transitional Living Programs since the inception of the Tourney in 2000.